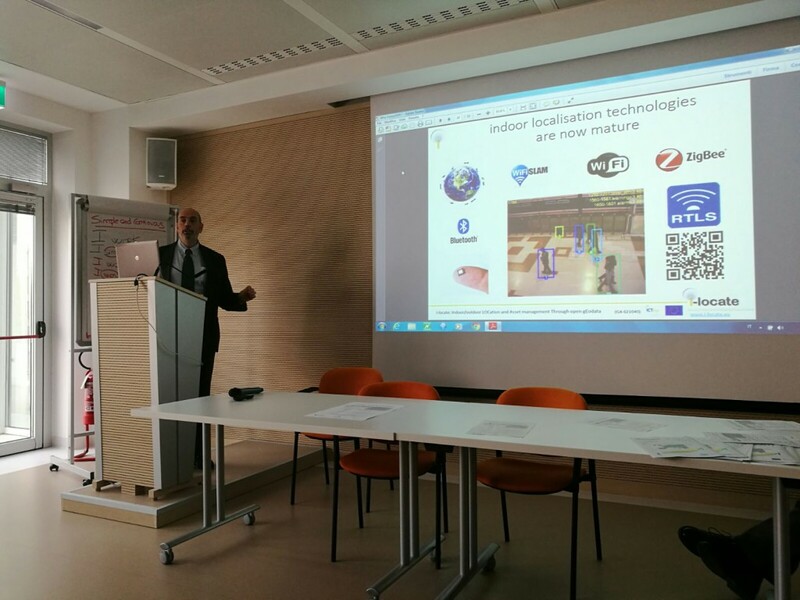 Monday, December 19, 2016, at the Conference Hall of the “Proton Therapy Center” in Trento, was held the closing conference of the European project “i-locate” (www.i-locate.eu). “i-locate, locating people and mobile equipment in the hospital. i-locate (Indoor/outdoor LOCation and Asset management Through open gEodata) is a project funded in 2013 by the European Community, with a contribution of 2.36 million euro (4.7 million of expense), distributed over 25 European public and industrial partners. The goal of “i-locate” is to simplify the life of users by helping them to “navigate” inside buildings to reach the destination (public office, clinic, shop, etc.) And providing any information available to support (queues, accidents, changes, suggestions, etc. ), using their smartphone. “I-locate” also provides for the tracking “indoor” of objects and portable equipment for their localization, management and maintenance. During the workshop, they were presented the results obtained from the Rovereto (IT) hospital experimentation.